Wayne F. Walton, 93, of Sycamore, passed away peacefully Monday, July 16, 2018. Wayne was born June 22, 1925, to B.F. and Mabel (Everhart) Walton. He married Jean Weininger Feb. 26, 1950, and they enjoyed 68 wonderful years. He graduated from Sycamore High School in 1943 and was a veteran of the United States Army in World War II from 1944-1946, obtaining the rank of sergeant. As a testament to his service, he was one of the first men in Wyandot County chosen to be a part of Honor Flight of NW Ohio in 2013. Together, he and Jean have two sons, Steven (Tammy) Walton of Sycamore and Rodney (Candy) Walton of Findlay; five grandchildren, Ashley Walton of Columbus, Aubrey Walton of New York City, Blake (Dani) Walton of Avon Lake, Sean (Ashley) Walton of Perrysburg and Kelly (Drew) Mulhern of Columbus; and three great-grandsons, Reid and Cole Walton of Perrysburg and Oliver Walton of Avon Lake. Wayne is survived by his brother, Norman (Marjorie) Walton of Marseilles; a sister, Rosie (Robert) Bear of Marseilles; and a sister-in-law, Twila Walton of Upper Sandusky. He was preceded in death by his parents; a sister, Garland Pennington; and two brothers, Clarence and J. Warren Walton. Wayne was a true salesman, starting his career with Baugh Fertilizer Co., eventually serving as district manager for 16 years. His sales path continued with the family-owned business, BF Walton & Sons Seed Co. for 30 years, followed by a 22-year career in real estate as the broker of Wayne F. Walton Real Estate in Tiffin and Upper Sandusky. Wayne loved his community and was involved in numerous organizations, highlighted by his 56 years of service to Sycamore Lions Club. He was the co-chairman (with Jean) of Sycamore and Sycamore Township One Fund Drive for 20 years along with being a member of the 60+ Club. Wayne was a Sycamore Township trustee for 12 years and always enjoyed attending the state conference every year in Columbus. 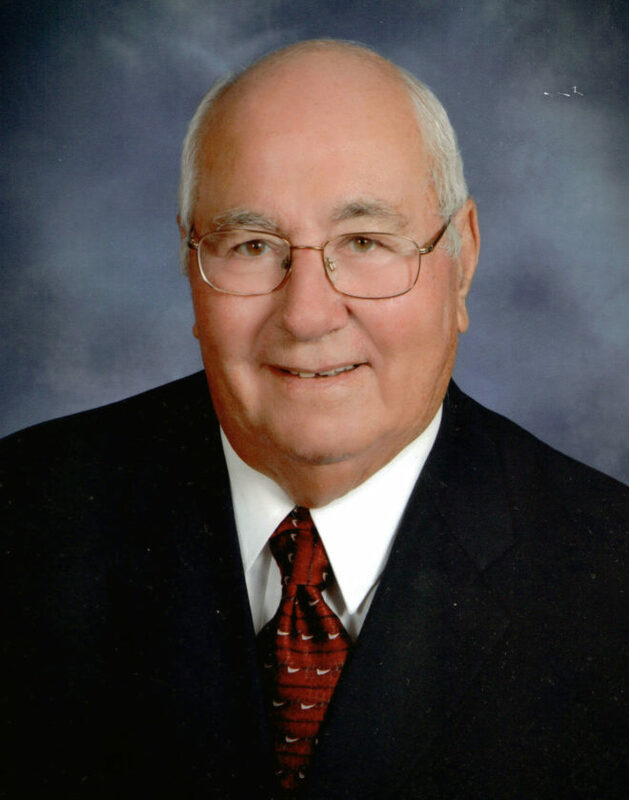 He also served as a director of First National Bank of Sycamore for 53 years as well as Wyandot Memorial Hospital Foundation Board for many years. In honor of his service to his hometown, Wayne and Jean were named the Outstanding Senior Citizens of Wyandot County in 2006, and also were awarded the State of Ohio Joined Hearts in Giving Award in 2013. He was a member of Sycamore United Church of Christ for 65 years and truly enjoyed singing in the choir. Wayne also was a lifetime member of The Sycamore American Legion Post No. 250 and Upper Sandusky Elks Lodge No. 83. Wayne was a huge fan of the Cleveland Indians and rarely missed a game on television. He loved spending time fishing, whether it be on Lake Erie or at MacGregor Bay in Ontario, Canada. He had an incredible sense of humor and loved playing tricks on others. His true passion, however, was his family, which was the center of his attention. Friends and family may visit 5-8 p.m. Friday, July 20, 2018, at Walton-Moore Funeral Home, Sycamore. Additional visitation will take place 10-11 a.m. with his services beginning at 11 a.m. Saturday, July 21, at Sycamore United Church of Christ with the Rev. Paul Fraser, the Rev. Karen Fraser Moore and the Rev. Frank Murd. Memorial contributions can be made to Sycamore United Church of Christ or Sycamore Lions Club, in care of Walton-Moore Funeral Home, P. O. Box 350, Sycamore, OH 44882. Online expressions of sympathy can be made at www.waltonmoorefuneralhome.com.